Mauricio “Shogun” Rua could very well be on his way back to a UFC light heavyweight title shot. However, he’s not thinking about that right now. Rua has won four of his last five fights inside the Octagon. His victories include names such as Antonio Rogerio Nogueira, Corey Anderson, Gian Villante, and Tyson Pedro. However, he did suffer one defeat to rising contender Anthony Smith in July. After his victory over Pedro this past weekend, in which he finished the young contender in the third round via TKO, talk of a potential title opportunity has begun. The 37-year-old is a former 205-pound champion but lost the strap in his first-ever title defense against Jon Jones 2011. “I don’t think about the belt,” Shogun said. “I’m going to be fair, I believe there are people ahead of me and I don’t want to jump ahead of them unless the UFC wants me to. But I’ll never say it’s my turn, because it’s not. 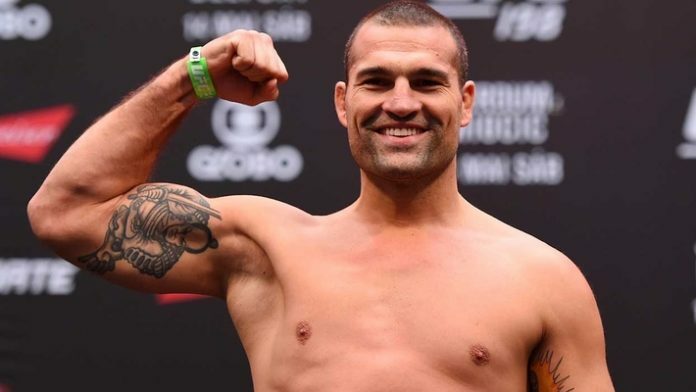 What do you think about Shogun not being worried about a title shot right now?